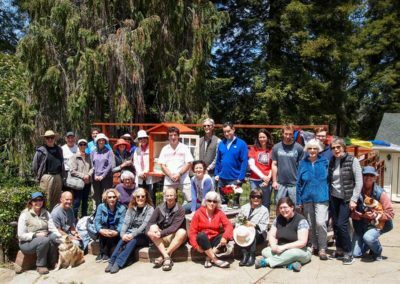 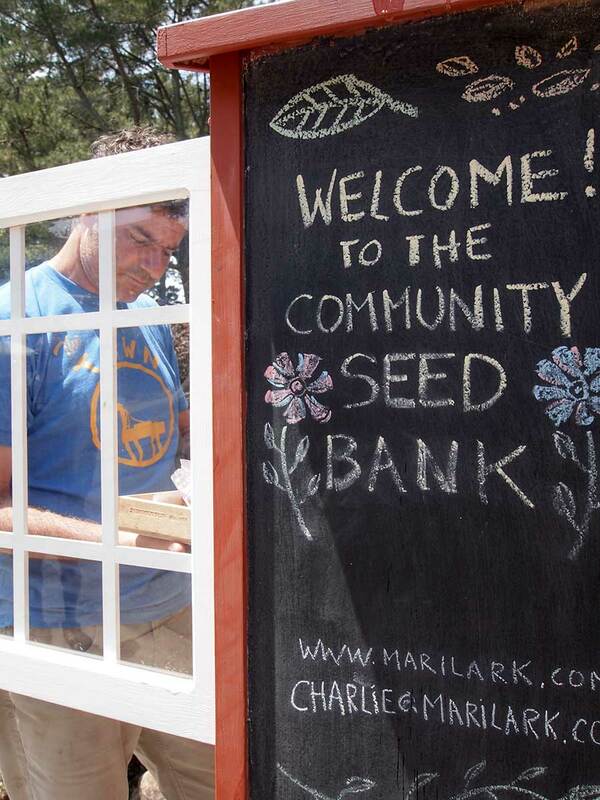 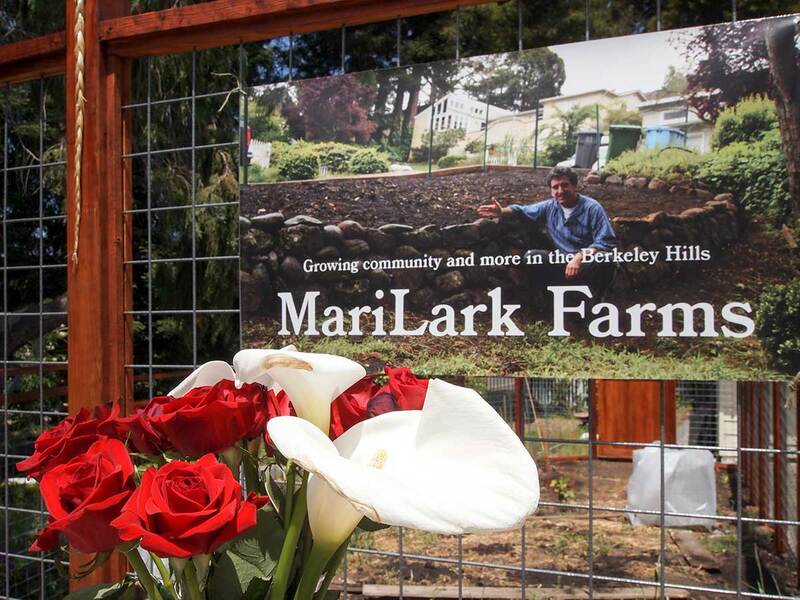 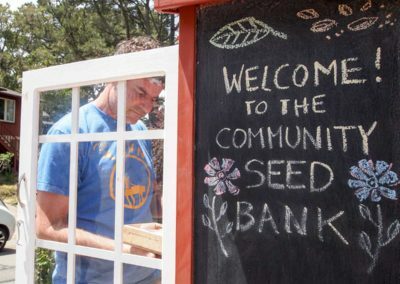 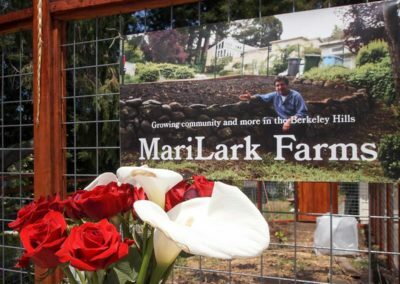 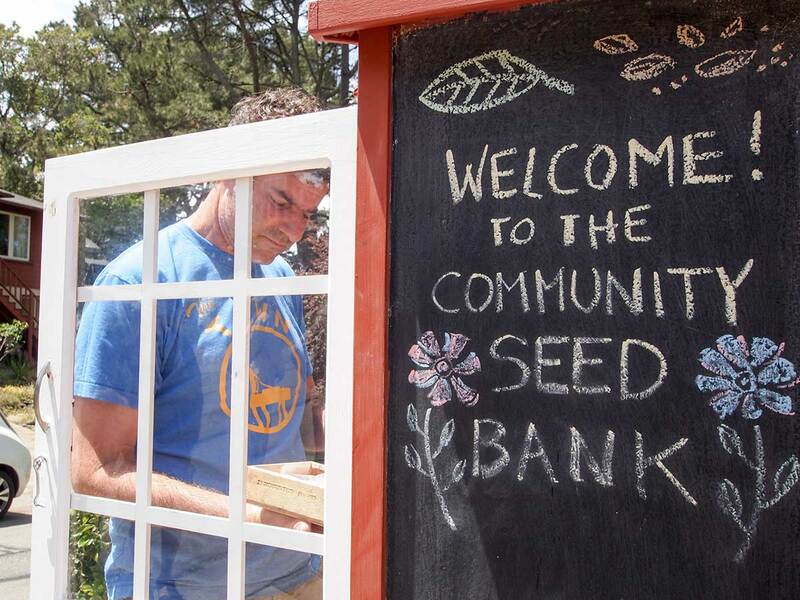 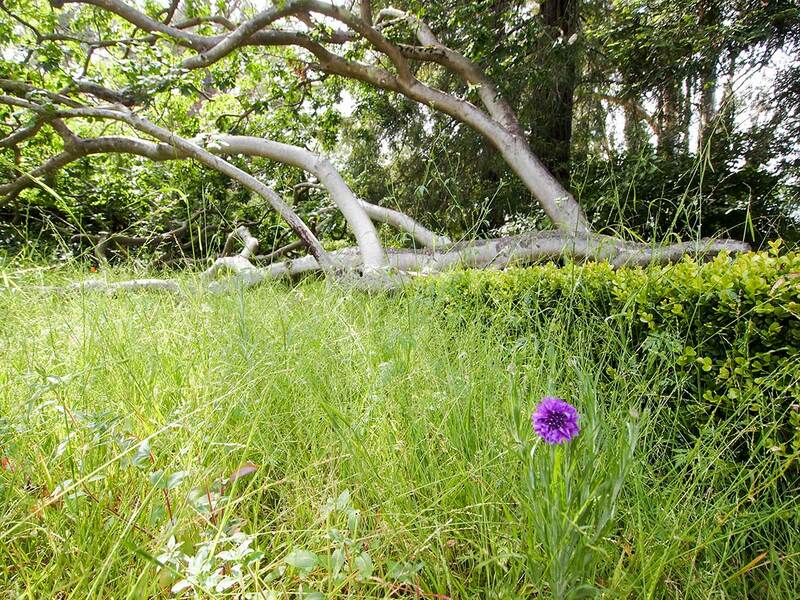 Rarely in life do you exceed your expectations and the launch of the Community Seed Bank (CSB), otherwise known as the little red barn, was one of those occasions. 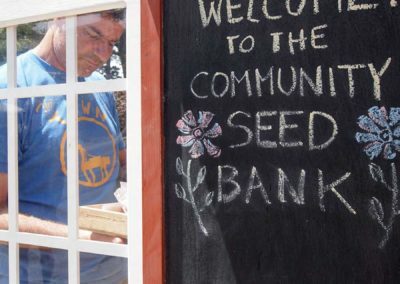 In the planning stages for years, the seed bank and the adjoining farm infrastructure came together with a flurry of activity the last two months. 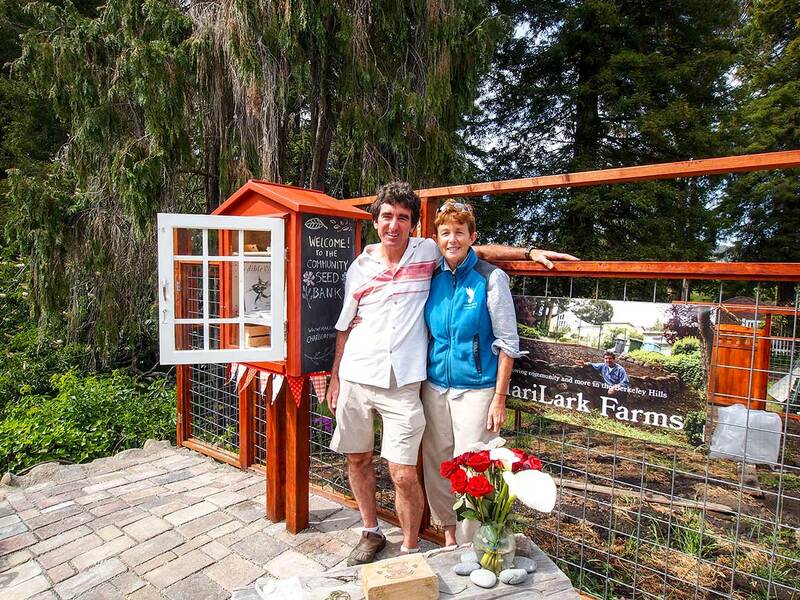 I did not plan to build the farm enclosure, opting to hire someone to do it, but in the end sometimes doing it yourself is the best way, albeit you have to build it. 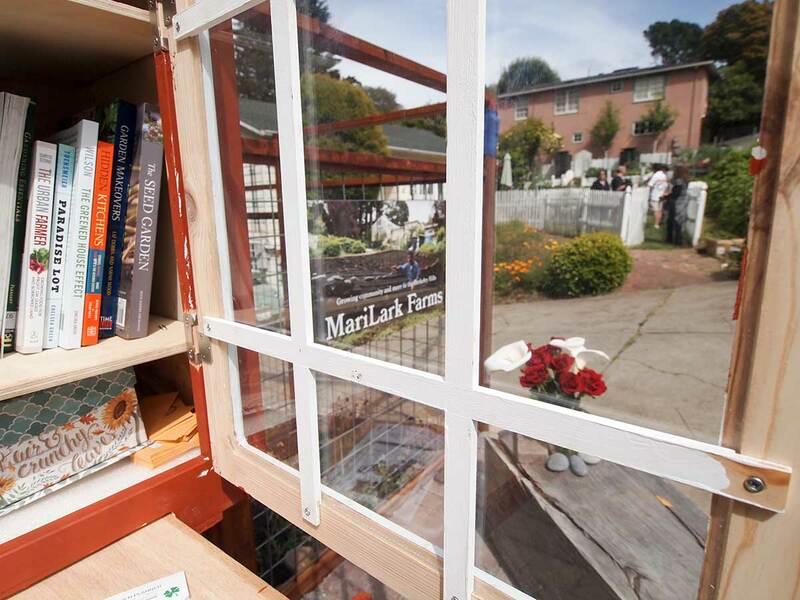 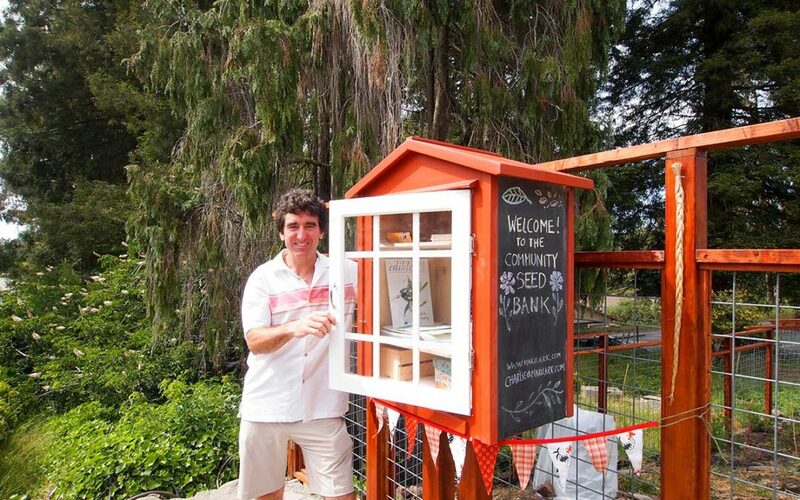 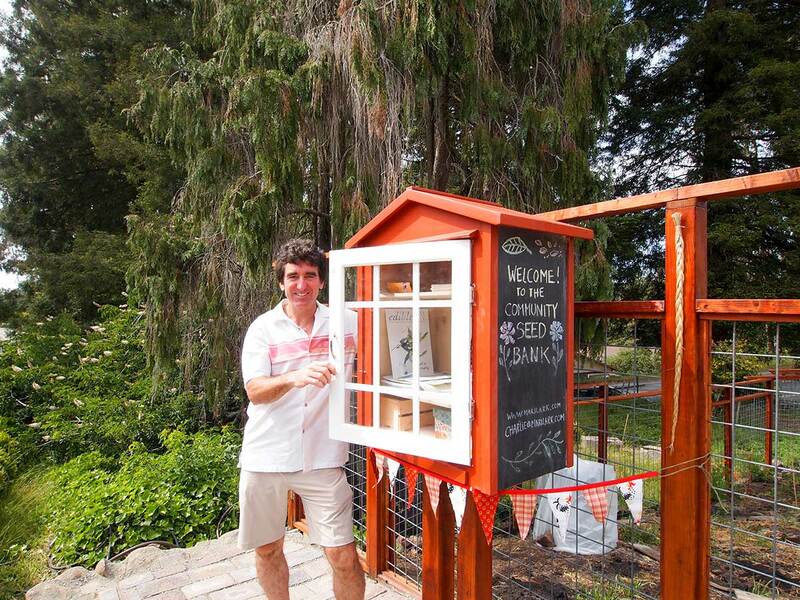 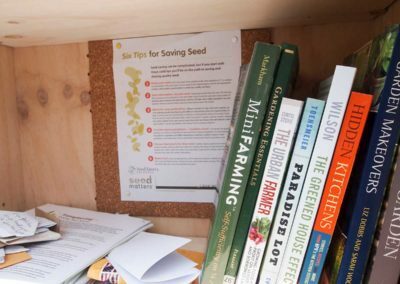 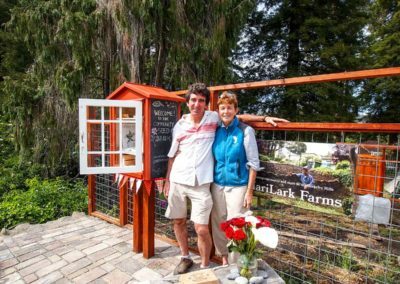 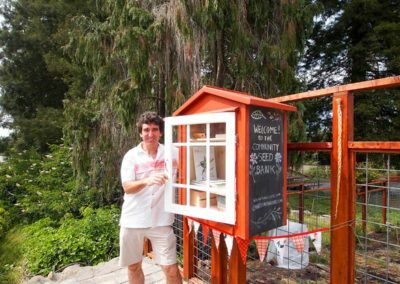 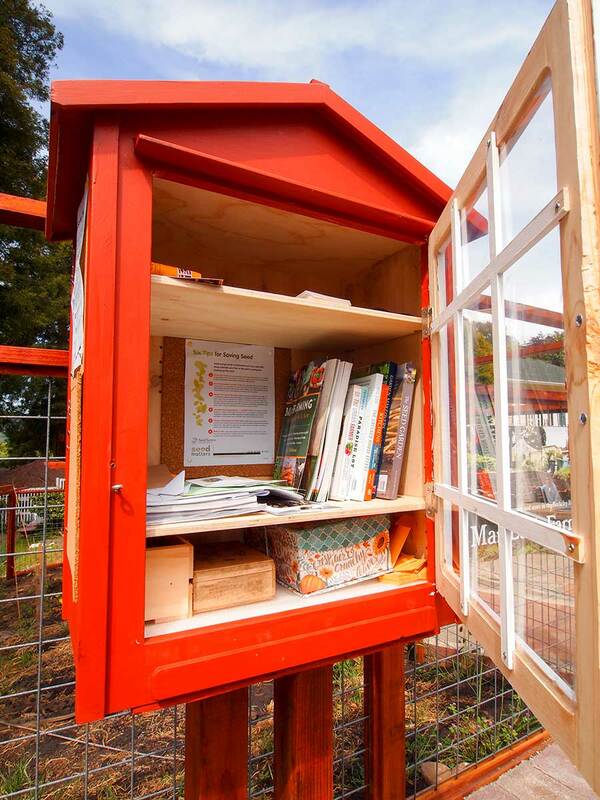 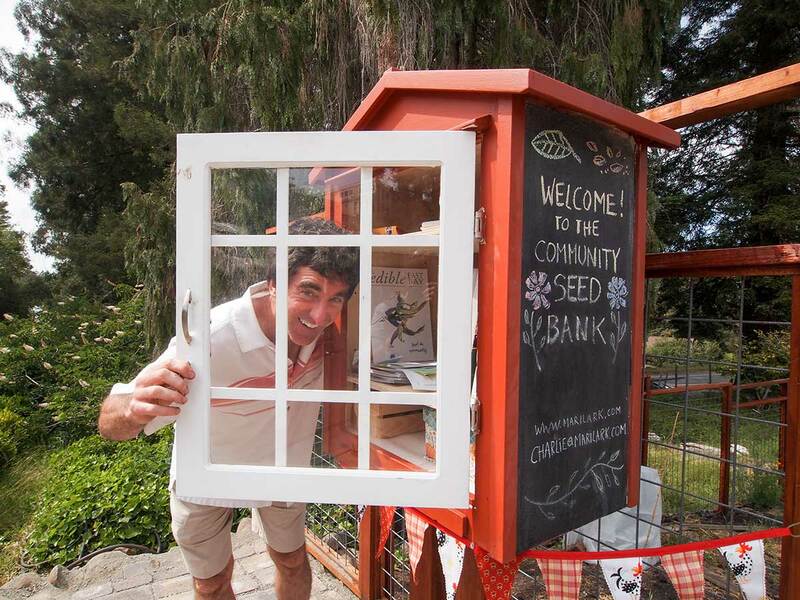 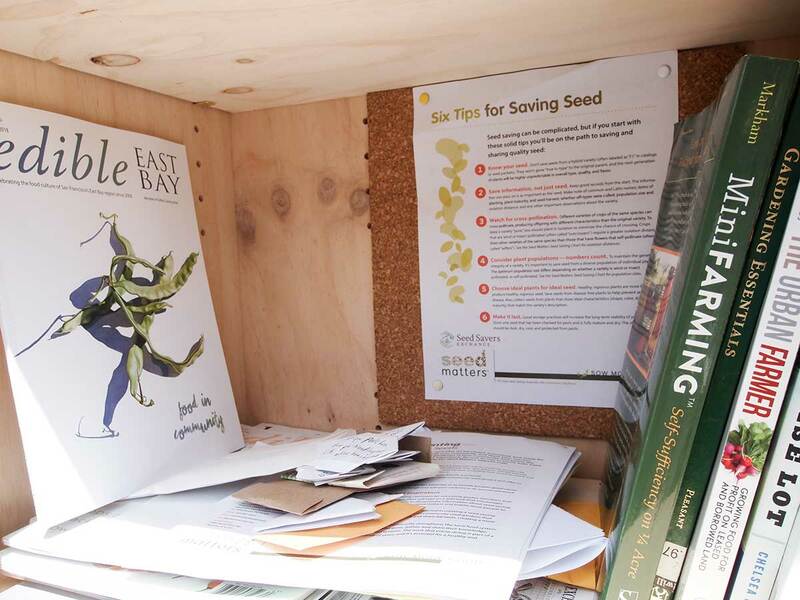 This CSB, modeled loosely on the Little Free Library movement, the little red barn is focused on seeds, soil and community. 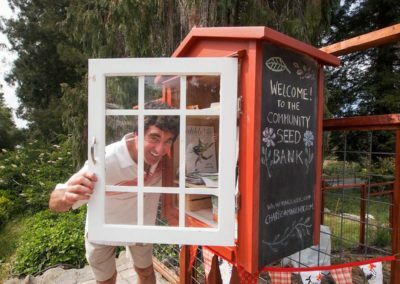 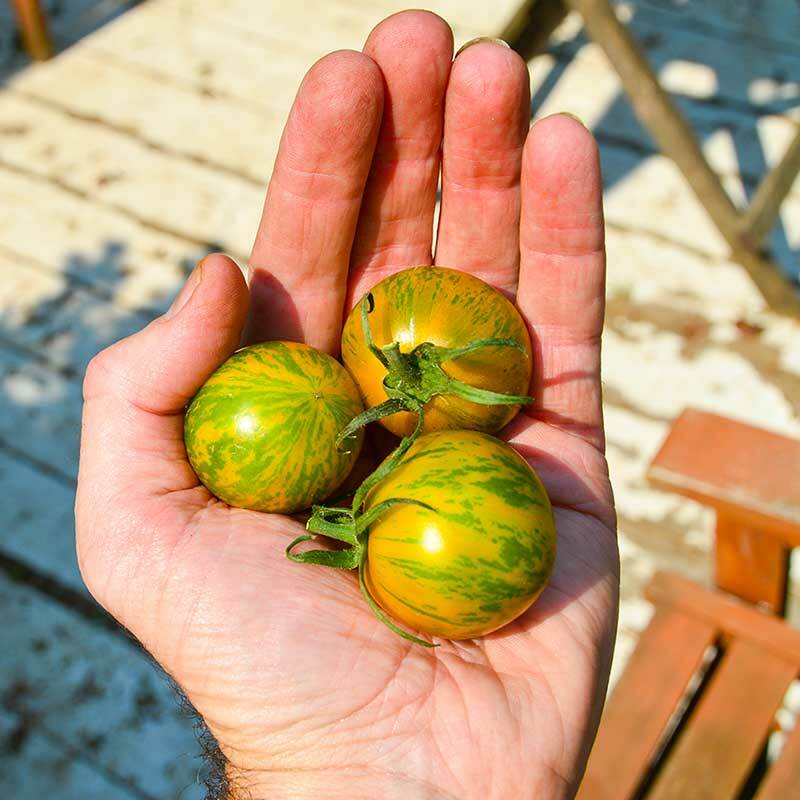 Community gardens across the country could use these to promote their gardens, bring the community together and provide a valuable resource to the community. 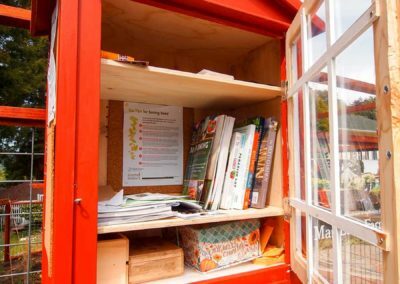 In the week since the launch, it has already worked its magic, bringing together people in the community, those passing through on a walk or even the millennial Uber driver, Davi, who stopped to chat, leaving her car loosely parked on the side of the road. 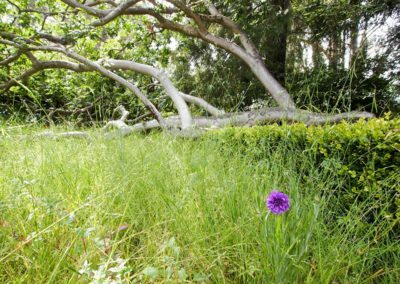 “Can I take a film photo?” she said as she pulled out a camera with film, yes, that stuff we use to use for all photographs. 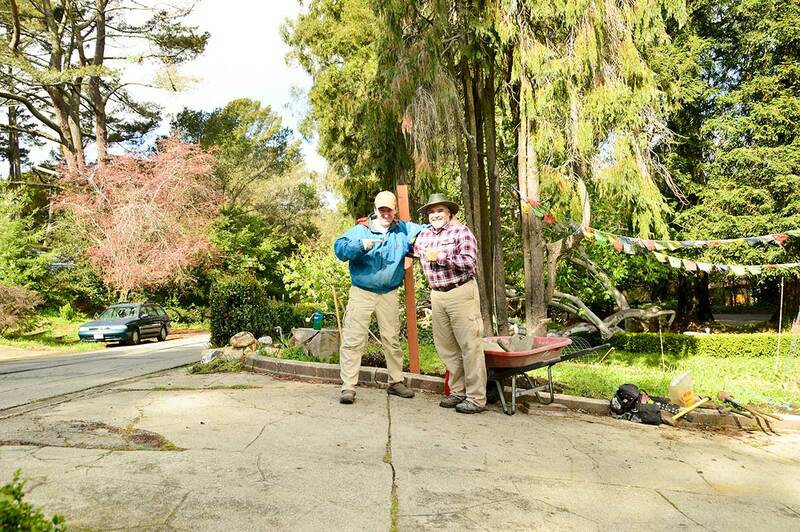 I said, “Yes, of course…are you a photographer?” I asked. 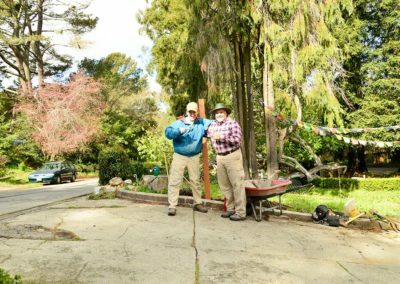 She said yes, she likes to use film sometimes and carries around a film camera in her car. 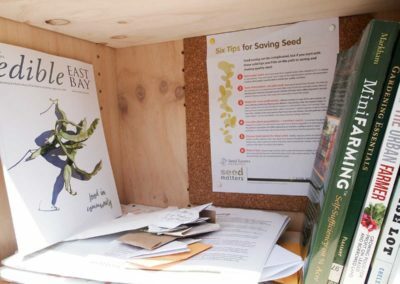 She snapped a couple of photos, took some seeds using the seed board to spread them out and divide them into their individual packets and wrote down the type of seed. 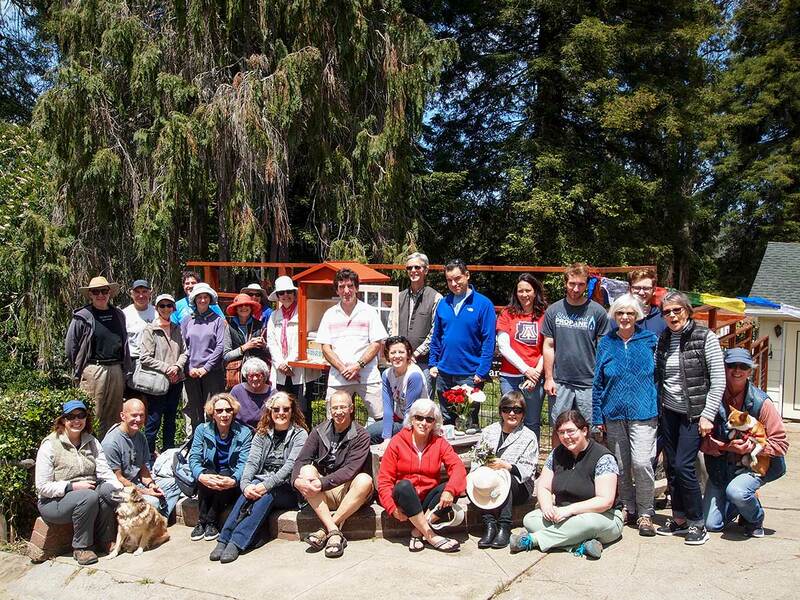 It is these encounters that continued as I met more and more members of the community with only one week gone by.